Exhibitions are one of those events that have been around for so long, in such a standard format, that it seems almost impossible to attempt or implement anything new. They are inherently and event where buyers and sellers meet, usually for a short period of a few hours to a couple of days, in temporary environments and interact with each other. Many factors can be considered while setting up these exhibitions that can affect the buyer or the seller. The atmosphere created for these exchanges is of vital importance, and it is saddening to see that almost all exhibitions, irrespective of theme, type, or genre, have started sticking to generic, boring formats. The different explorations and small psychological tweaks that can be introduced to make them more successful lie forgotten. It is hardly surprising that these events are not exactly considered fun for event managers, simply a routine task. Below, we run you through potential changes that can take place in the event management scene for exhibitions, to make them more effective for the buyer and seller and more fun for the management team. Instead of completely neglecting how the audience perceives the event and assuming that those who are genuinely interested will show up anyway, consider making the exhibition appealing to a broader audience. As the event manager, getting the obvious audience is hardly a difficult task. Pulling an unexpected audience and garnering their interest in your event through proper marketing schemes and good promotion strategies is the real challenge. Treat these exhibitions like any other event and aim for maximum participation. Also, try to make them engaging so that you will have longer retention. Another very neglected part of exhibitions is curating the exhibits in question. While getting a large number of different exhibitors and helping them set up shop is easy, making the entire event revolve around a theme, a topic, a specific conversation, or a niche standard can be much harder to achieve, but overall more rewarding. Having exhibitors who are respected and reputed can also boost the overall quality of your event from the very beginning. While briefing the exhibitors, try to emphasize on having exhibits that are more interactive than purely visual or information based. Anything that has the potential to become a retained memory for the consumer is a fair success. 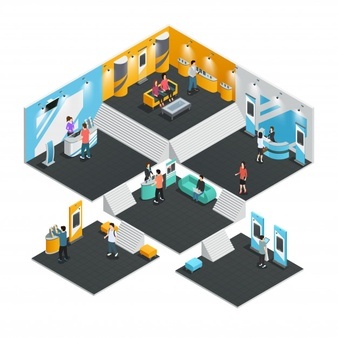 Because exhibitions have such a large number of competing people, organizations, or brands working simultaneously, it can be hard to make a lasting impression on the buyer unless you provide them with an experience that they can hold on to. Hence, impress upon potential exhibitors the need to make their exhibit dynamic, or at the very least to have some form of human interaction between the buyer and seller that is beyond simply financial transactions. Try to draw the emphasis away from merely a sales perspective. 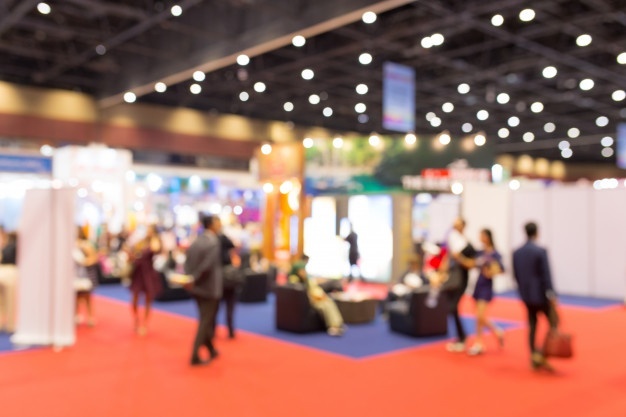 Although exhibitors do have to worry about the turnover from the event and the revenue and sight that they generate, it is important to impress upon them that these exhibitions are more of a way to gain a spotlight, make connections, and increase interaction, instead of simply a temporary sales platform. Urge them to focus on more long term goals, and to make their exhibit more memorable and different instead of purely sales oriented. Moving throughout the exhibits should be an easy task, and the flow of people should not be constructed. Make sure that the routes through the exhibits and the overall layout are well planned and not suffocating. The environment in which the event happens plays a massive role in how successful it ends up being. Moreover, cramming too many exhibits into a small space is a sure way to stop people from wanting to enter in the first place. Hopefully, these pointers give you an idea of the ways that exhibition events can be changed and developed from being boring into more engaging and fun occasions for all parties involved. Good luck with the next one, and do let us know how it goes!